Ventura, California is a picturesque beachside town along the Pacific coast. But beneath this tranquil veneer, something dangerous lurks in the shadows of the dark. 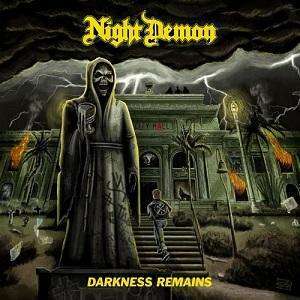 Night Demon erupted onto the underground heavy metal scene with a self-titled four-song EP in 2012. This recording showcases a sound forged in a deep-seated passion for the New Wave of British Heavy Metal melded to distinctly American muscle and swagger, transcending musical trends and cutting across generational and genre-dividing lines. A street-level buzz soon emerged, as listeners around the globe were captivated by this exciting, fresh take on a revered sound. Night Demon’s momentum accelerated in 2014, with the band landing support slots on Diamond Head and Raven tours of the USA, and launching the first of many DIY van tours across Europe that summer. This European jaunt strung together several festival appearances over a six-week period, with the routing in-between filled by gigs in every city, town and hole-in-the-wall village they could find. It became the blueprint for the band’s subsequent trips to Europe in 2014 and beyond. The net result was that, both at home and abroad, Night Demon earned a reputation as an incendiary, must-see live act with a tireless work ethic. 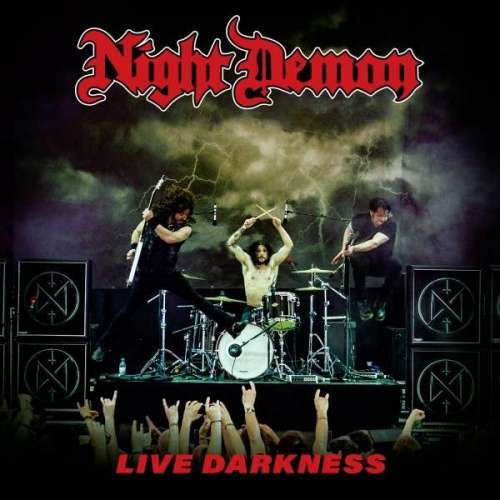 The next milestone in Night Demon’s career arc was the release of their first full-length album in January 2015 via Century Media in the USA and SPV/Steamhammer in Europe. 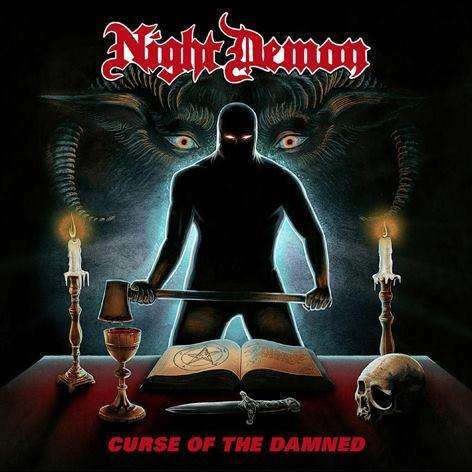 Entitled Curse of the Damned, the record refined the band’s trademark sound as exhibited on the Night Demon EP. It also inspired fanatical devotion amongst the heavy metal faithful, garnering widespread critical acclaim and being voted the #1 album of 2015 by listeners of WCJU’s Metal on Metal radio show in Cleveland, Ohio. 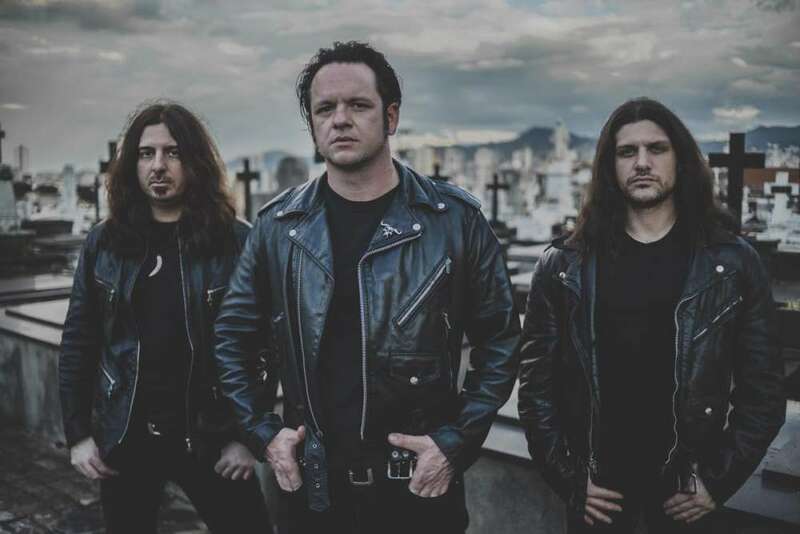 To promote the record, Night Demon hit the killing road for the better part of two years, crisscrossing the United States multiple times both as part of package tours (such as the Carcass/ Crowbar/ Ghoul trek in summer 2016) and on their own. With each successive tour, Night Demon’s live show incorporated additional production elements, including innovative lighting and visual effects and the nightly onstage appearance of the band’s black-cloaked skeletal mascot, Rocky, to haunt, goad and tempt concertgoers into drinking from the chalice. 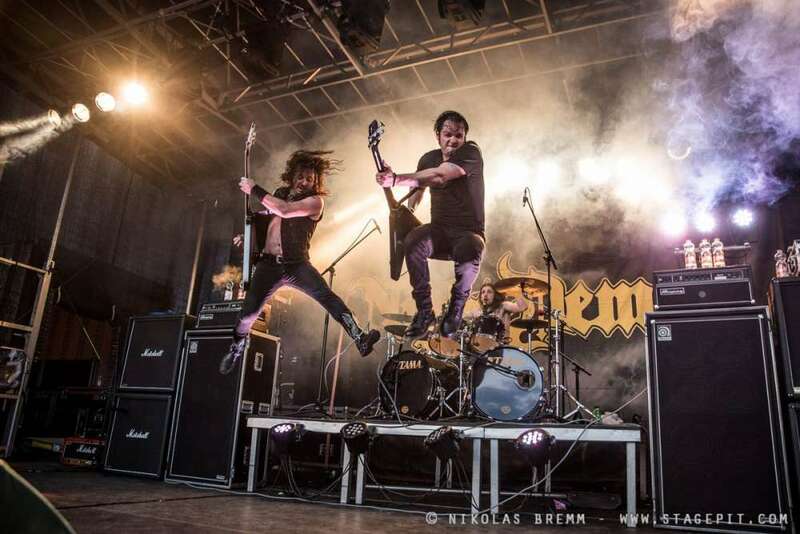 Reaping the rewards of their relentless touring of the European market, Night Demon scored a high-profile appearance on the main stage at Germany’s Bang Your Head!!! festival in July 2016. Fully committed to veering off the beaten path to bring their heavy metal heat to more people in more places, the band embarked on a pair of tours of Mexico and, in early 2017, a run of 20 dates in South America and Latin America, including ten shows in Brazil alone.